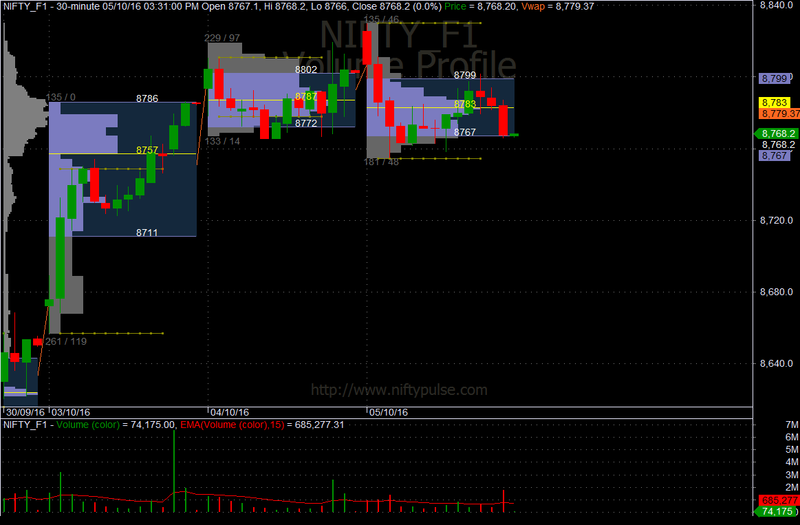 Nifty closed down 25.20 points (0.29%) at 8743.95 while Future closed at 8768.20, premium of 31.40 points. 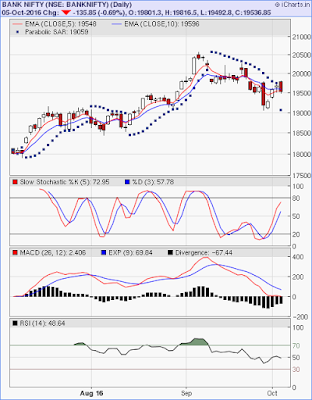 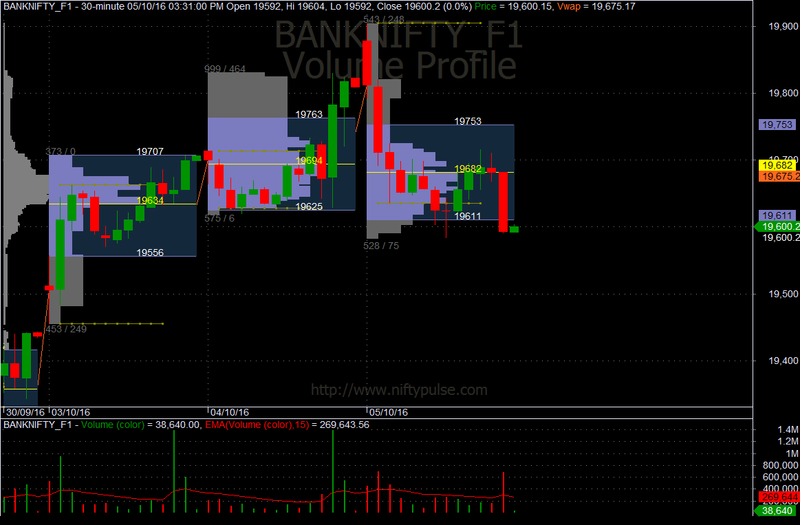 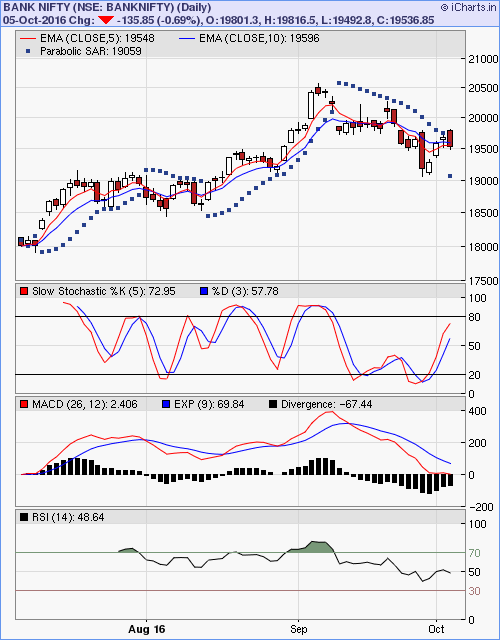 Bank Nifty closed down 135.85 points (0.69%) at 19536.85 while Future closed at 19621.50, premium of 84.65 points. Advance Decline for the day was 963:668. 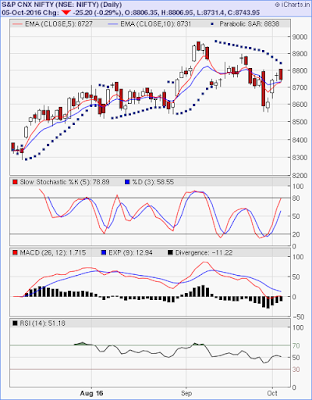 McClellan's oscillator for NSE at +48.